In his third adventure, Cheesie and his best friend, Georgie, are off to middle school, where there will be lots of new kids and new teachers. Cheesie has a terrific idea--what better way to meet all the new kids than to run for class president? Plus, if he wins, it'll drive his evil older sister nuts! Then Cheesie gets bad news. One of his friends from his old school is also running for president. Cheesie has a tough decision to make, one that could affect his entire middle-school career. Should he bow out and support his friend, or go for the glory? 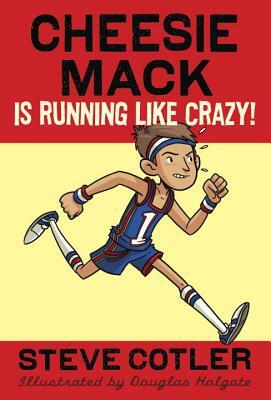 "Middle school has Cheesie Mack on the run. List-loving, 11-year-old Ronald “Cheesie” Mack is back for his third outing, and this time, he’s embarking on the grand adventure of sixth grade at a new school…one he must, unfortunately, share with his eighth-grade sister June (Goon). Cheesie decides to run for class president and then decides his best friend (since kindergarten) Georgie should run instead. As they mount the strangest campaign ever, Cheesie continues his epic Point Battle against his sister (a secret game in which they score points for embarrassing or pranking each other). He also discovers track and field, kind of decides that girls are OK to hang out with and does a (sort of) good deed for Goon. Fans of teacher and children’s entertainer Cotler’s chatty, engaging Cheesie titles will be overjoyed with Cheesie’s evolving character and continued good humor and imagination. This stands alone, but events of the first two are referenced; as with the previous volumes, he invites readers to interact on his website. New-to-this-volume illustrator Holgate’s frequent black-and-white illustrations, often labeled by Cheesie, add to the fun.